INDIANAPOLIS, Feb. 16, 2017 – Four members of the 2016 U.S. Men’s Olympic Team are expected to compete at the Winter Cup Challenge in Las Vegas, Feb. 16-18, at the Westgate Las Vegas Resort. 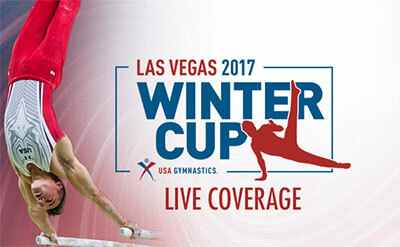 Performances at the 2017 Winter Cup will determine 15 members of the 2017 U.S. Men’s National Team through the 2017 P&G Gymnastics Championships, Aug. 17-20, in Anaheim, Calif. USA Gymnastics will provide live coverage of today’s preliminary sessions on its YouTube channel at 4 p.m. and 10 p.m. ET. The finals are scheduled for Saturday, starting at 10 p.m. ET. The members of the 2016 Olympic Team slated to compete in Vegas are: Chris Brooks of Houston/U.S. Olympic Training Center; Jake Dalton of Sparks, Nev./University of Oklahoma; Sam Mikulak of Newport Beach, Calif./U.S. Olympic Training Center; and Alex Naddour of Gilbert, Ariz./USA Youth Fitness Center. Mikulak, a four-time U.S. all-around champion and two-time Olympian, is the defending Winter Cup champion. 2016 Olympic alternates Akash Modi of Morganville, N.J./Stanford University, and Donnell Whittenburg of Baltimore, Md./U.S. Olympic Training Center, are also in the field. Three-time World medalist and 2012 Olympian John Orozco of the Bronx, N.Y./U.S. Olympic Training Center, who was originally named to the 2016 Olympic team but had to withdraw with an injury, has also registered to compete. Performances at the 2017 Winter Cup Challenge will help determine the 15 men who will comprise the U.S. Men’s Senior National Team through the 2017 P&G Gymnastics Championships in Anaheim, Calif., Aug. 17-20. Following the two-day competition, the top four ranked all-around athletes will automatically qualify for the 2017 senior national team. 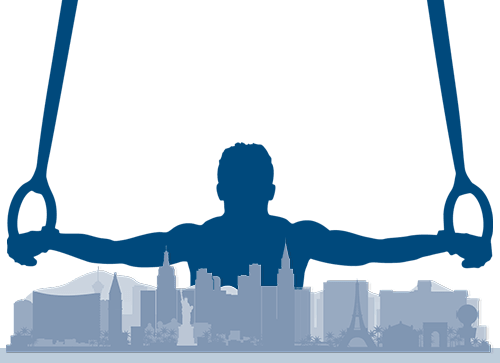 The Men’s Program Committee will select up to eleven more gymnasts from the participants at the Winter Cup Challenge. The members of the 2016 Olympic team, plus the alternates, will automatically retain their spots on the national team provided they earn National Points on both days of competition. The top 42 gymnasts, according to the all-around placements and Men’s Program Committee’s points ranking system, will advance to the final competition, along with the top three gymnasts on each apparatus. The all-around and individual event champions will be determined via a combined two-day score. For information on the points ranking system used for advancement to the final round, as well as the one for determining the national team, click here. The Winter Cup competition schedule is: preliminary rounds, Feb. 16 – 1 p.m., and 6:30 p.m.; and final round, Feb. 18 at 7:15 p.m. Tickets are $25 for Feb. 16 (both sessions) and Feb. 18 (finals), with an all-event pass for $50 (which also includes access to the Black Jack Invitational). Tickets may be purchased on site on the afternoon of Feb. 15 and on both competition days. The Winter Cup format has junior and senior gymnasts competing in the same field. Based in Indianapolis, USA Gymnastics is the national governing body for gymnastics in the United States. Its mission is to encourage participation and the pursuit of excellence in the sport. Its disciplines include men’s and women’s artistic gymnastics, rhythmic gymnastics, trampoline and tumbling, acrobatic gymnastics, and group gymnastics (known internationally as Gymnastics for All). For more information, log on to www.usagym.org.